Hyatt recently hosted its annual culinary contest, ‘The Good Taste Series’ in India. A testament to Hyatt Hotels & Resorts’ commitment to excellence and creativity in food and beverage, The Good Taste Series competition cultivates emerging culinary talent at Hyatt hotels around the world and celebrates cultural diversity. 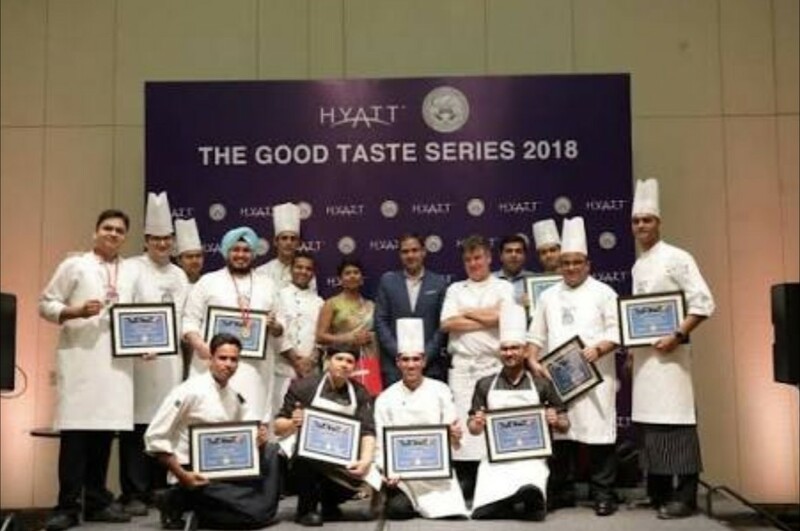 At the recently concluded competitions held at Andaz Delhi and Grand Hyatt Kochi Bolgatty, Chef Prashant Kumar and Chef Balpreet Singh from Hyatt Regency Delhi and Andaz Delhi respectively, have emerged winners in the India edition of The Good Taste Series 2018. 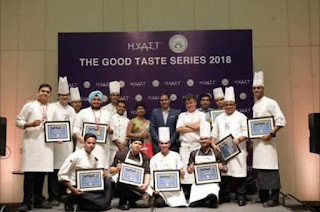 Originally designed in 2014 as an internal competition in North America, The Good Taste Series has been held at a global scale since 2017, featuring chefs from Hyatt hotels across Asia Pacific, the Americas, Europe, Middle East, Africa and India. This year, chefs from 24 Hyatt hotels in India competed against each other, each creating a dish that celebrates Hyatt’s global food philosophy “Food – Thoughtfully Sourced. Carefully Served”. Two winners will represent India at the EAME/SWA final at Grand Hyatt Abu Dhabi. To kick off the contest, the chefs received on the spot surprise ingredients – duck breast, sweet lime, prawns, fresh turmeric, barnyard millets – to be incorporated into their dishes. Chef Prashant Kumar and Chef Balpreet Singh won top marks from the judges for dishes created. Chef Prashant Kumar prepared Quinoa cooked shrimp sausages with summer fruit salsa and Duck bon-bon with quinoa pilaf and xacuti sauce; on the other hand, Chef Balpreet Singh prepared Poached prawns, turmeric coco sauce, bard yard millet upma and Pan-seared duck, sweet lime salt, panchphoran carrots, pressed rice chaat. As a global hospitality company that believes in caring for people so that they can be their best, Hyatt aims to develop and recognise up-and-coming chefs through this initiative to stimulate their creativity and drive to learn. Understanding that guests value holistic experiences that go beyond mere accommodation, Hyatt is cultivating emerging culinary talent on a global platform to focus on excellence and creativity in its food and beverage offerings. Now in its sixth edition, the annual contest has grown from a North American initiative to a global program featuring chefs from Hyatt hotels in Asia Pacific, the Americas, Europe, Middle East, Africa and India. The Good Taste Series provides anyone from the line cooks to the executive sous chefs with an opportunity to showcase their culinary flair. In November 2018, Chef Prashant Kumar and Chef Balpreet Singh will represent India in the EAME/SWA final of The Good Taste Series and compete against four other chefs who have triumphed in the regional rounds organised across Mallorca, Moscow, Dar es Salaam and Abu Dhabi. Following which, two chefs will be selected to face off with four other Hyatt chefs in the global final – which will be held in Asia Pacific in the first quarter of 2019.